German watchmakers Junghans celebrates it’s 150th anniversary in 2011, and to mark the occasion, they’ve let us know about the Meister Chronoscope, one of two special anniversary models. 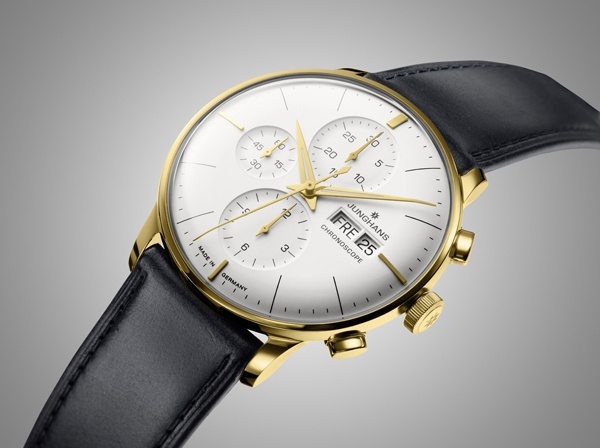 The Meister Chronoscope features a beautiful minimal styling, and ships with an 18 carat gold case. The Meister models feature styling and design that hearkens back to Junghans’s high watermark in the 1950s, when it was considered among the world’s most respected watchmakers. Limited to just 150 pieces, this exclusive watch is a wonderful way for any gentleman to elevate his look. This entry was posted in Accessories and tagged Meister Chronoscope. Bookmark the permalink.